The Yokohama Tire Corp. is consistently among the top 10 in the world in annual sales. Yokohama started in Japan in 1917, and has been producing tires for the U.S. market since 1969. In addition, many of their U.S. tires are actually made in the U.S., though we have examined the DOT code on at least one Yokohama YK580 tire that matches up to a Chinese factory. As of October 2015, Yokohama produces tires in the Mississippi and Virginia factories, providing jobs in rural areas. We hope this trend continues. Check out these ratings for Yokohama tires below. Consumer Reports considers Yokohama a good brand, specifically calling out the AVID Ascend as a good all-season tire with a stunning 65,000 to 85,000 mile warranty, depending on the speed-rating of the tire. 4.7 out of 5 based on 79 user ratings as of 9/19/16. 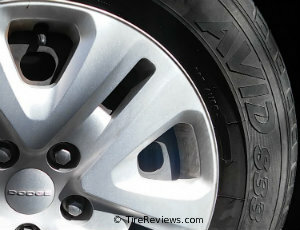 The AVID Ascend has good driver reviews, with more reasonable pricing than Yokohama's performance tires. Several other tires in the category score better for wet, snow, and ice conditions, so if you drive in an area that frequently has inclement weather, we would recommend the Continental TrueContact, PureContact or General Altimax RT43. 4.5 out of 5 based on 23 user rating as of 1/14/2018. Yokohama uses some innovative technology on the YK740, such as Orange Oil for better performance with high road temperatures, fuel economy, and possibly "Eco" purposes. The YK740 offers a relatively long 60k mile limited warranty, and the tire is available exclusively at Discount Tire and America's Tire. We are not certain why Yokohama only makes these available at one retailer. When comparing the tread pattern with Yokohama's other tires they do not appear to be available as a different model. Also, we read the DOT code off one set of YK740s as starting with the digits "4U", which indicate the tires were manufactured by Yokohama Tire in the Philippines. What we like: It has a UTQG wear rating of 740 (thus naming the tire the YK740), which should make this one of the longest lasting tires in Yokohama's line-up. What we don't like: It's only available at Discount Tire and America's Tire. We would compare this to Yokohama's more well-known touring tire, the AVID Ascend, which also has the same UTQG 740 wear	rating and is more widely available. Also, the Orange Oil technology doesn't necessarily translate into customer satisfaction. Reviews are above average, but not at the top. 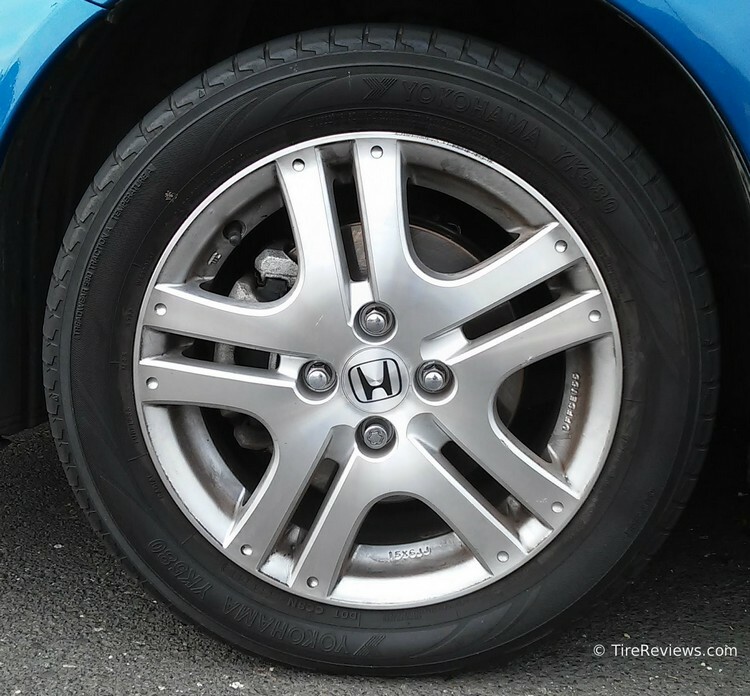 The tires are also expensive compared to their peers, with even 16-inch sizes retailing for over $100 per tire. You should compare the YK740 GTX to couple of our other brand favorites, the 4.7 General Altimax RT43 (65-75k mile warranty) and 4.6 Kumho Solus TA71 (60k mile warranty), in the same performance category. 4.4 out of 5 based on 248 user ratings (8/29/16). 4.0 out of 5 based on 60 user ratings as of Apr 2016. 2.29 out of 5 based on 42 user ratings as of 1/14/2018. These are quite possibly the worst tires we have ever seen reviewed. You might want to think of these as the Yokohama AvOid S33 tires. They are the OEM tire on Dodge Grand Caravan, Chrysler Town & Country. Unless you found them a good choice, we would strongly recommend buying one of the following instead. For example, in the 225/65R17 size, you can get the General Altimax R43 in the same load rating (102) with a better H-speed rating than the T speed rating on the Yokohamas. 3.7 out of 5 based on 10 user ratings as of 1/14/2018. The BluEarth S34 is classified as a Grand Touring tire and is the OEM tire on some models of the Toyota Prius. We are looking more into these and would compare them to the Bridgestone Ecopia, Michelin Energy Saver, and Continental ContiEcoContact line of tires.